40 ice carvers from Harbin China to create the ice sculptures for ICE! 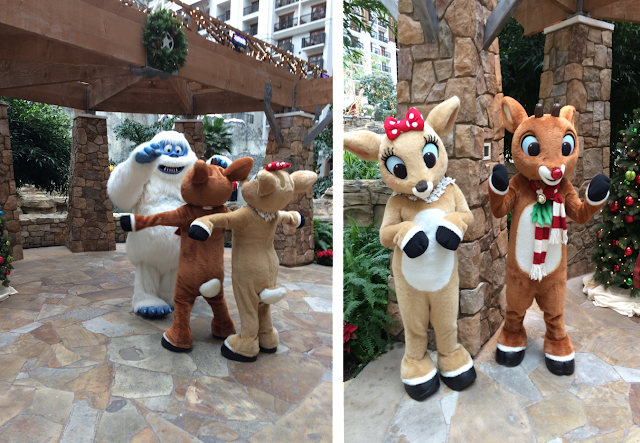 The numbers tell part of the story of Christmas at the Gaylord Texan! Experiencing it in person and immersing yourself into the holiday spirit with your family will create happy memories that you'll always treasure. Their attention to detail on everything from decorations to activities will make your experience extra special. Children 3 & under - Free throughout the season. Coupons - See the exclusive 40% off coupon for our readers below. Note that ICE! also includes a trendy slide area that is included in the price! This ice slide rocked my toddler's little world. As you may see from the Christmas By the Numbers and the list of activities, the Gaylord Texan is the ultimate Christmas destination. Their elaborate set of activities and attention to detail is truly amazing. We hope that your family is able to visit this holiday season! 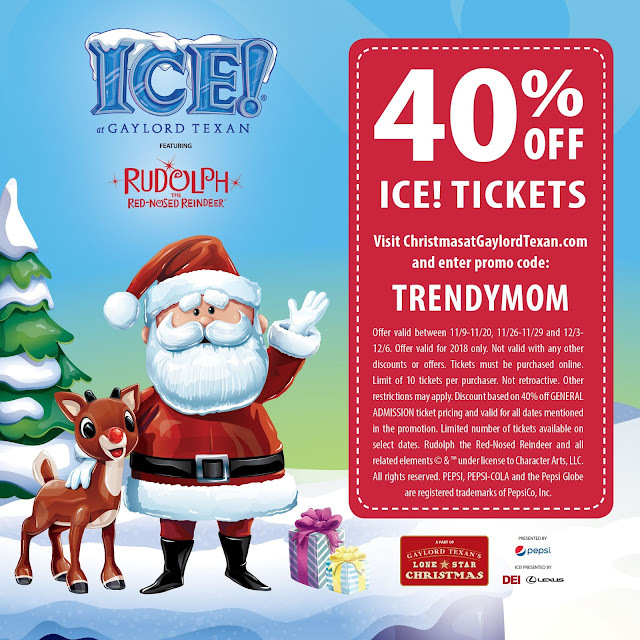 If you book your visit early, take advantage of this 40% off coupon for ICE! at the Gaylord Texan. Use code TRENDYMOM as shown below.